This entry was posted in Commuter Rail, Fares & Fare Collection, Transit, Union Station. Bookmark the permalink. Steve: The question came up of whether a through trip via UPX+GO to a location other than Union would charge the same fare as GO all the way. There are mixed reports of what happens. 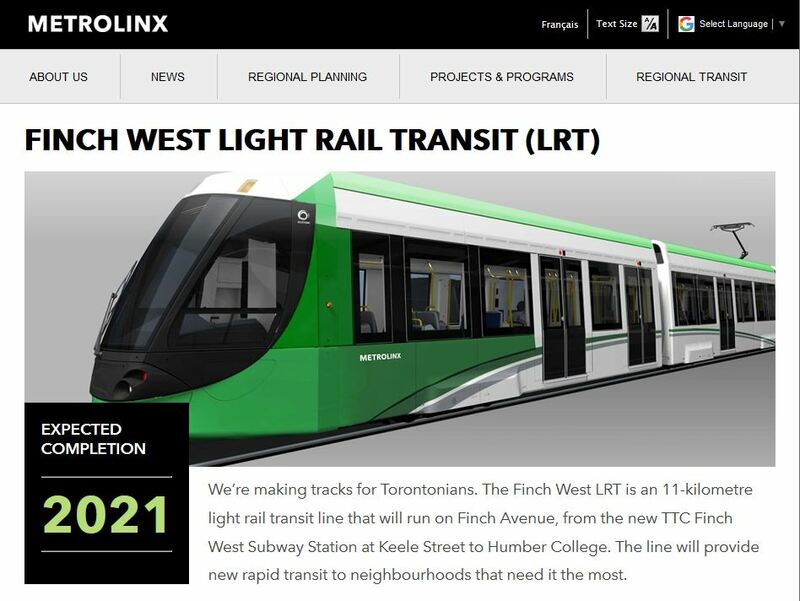 Has anyone noticed that the in-service date for the Finch West LRT has slipped back one year to 2022 ? This may have been inevitable for sometime, but this is the first capital project report to actually show a date other than 2021, and by extension the first admission of this by MetroLinx. Steve: I have sent Metrolinx a query about this but don’t expect to hear until tomorrow (Friday). Thanks for catching this. I will update the article to flag it. Great summary, Steve… as always, exemplary, insightful commentary! For a long time Metrolinx kept saying that fare integration would be revenue neutral. Practically (and politically) I never saw how that could be possible. It sounds like they’re softening on that position. Do you agree? Steve: Yes, and we have wasted a lot of time getting to this point. The Finch West LRT could be finished by 2021. 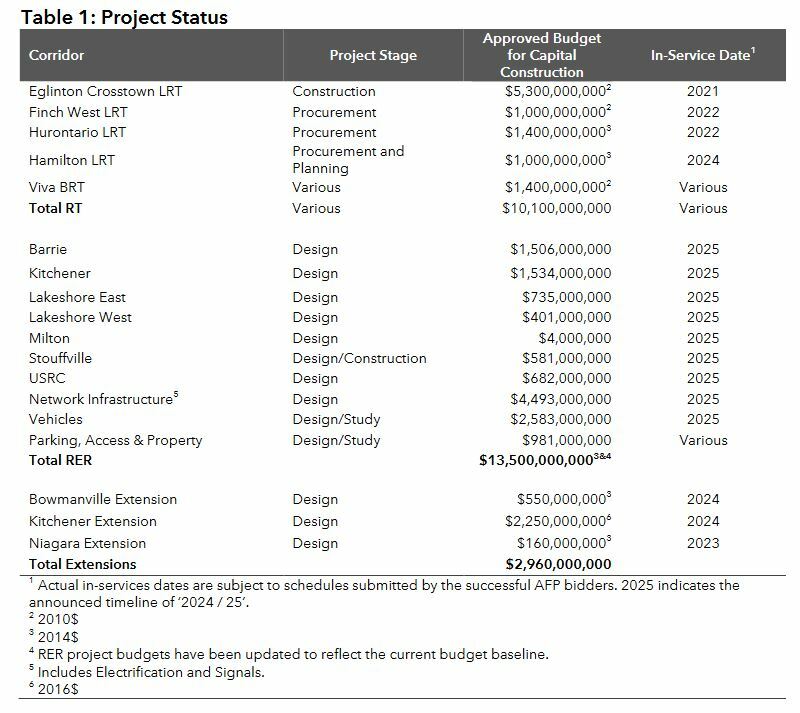 However, the light rail vehicles will not be available until the very end of 2022. lol. I love Prichard’s statement that the way Metrolinx makes decisions on stations is both based on science and art. The only art I see is how to bury the scientific facts under male bovine excrement without have the smell stick. You may like Swan Lake but I am remind of the song in the Best Little Whore House in Texas where Charles Durning sings “The Sidestep”. The possibility of integrating UP Express fares with the GO system is interesting especially as it might somehow be tied to a UP Express extension to East Harbour that might be presented as part of a pitch to Amazon for HQ2. But with the known plan for a UP Express station at Mount Dennis, and the possibility of a station at Woodbine (despite the stories of trains conking out while attempting to climb the spur to Pearson), I really wonder what the future of UP Express is going to be once RER or frequent daytime service is introduced to the Kitchener corridor. UP Express is becoming much more like a GO line with small trains than a direct express train, and now is limited by its own infrastructure. It’s a nice stopgap to have trains serving Bloor & Weston every 15 minutes, serving as a sort of infrequent DRL, but how necessary will it be to offer this type of service when GO trains are also running at 15 minute frequencies. Does UP Express eventually become SmartTrack, helping address the credibility faced by both? On the topic of fare integration, I would like to see the expansion of the current GO-TTC sticker zone to include Bloor Station today, with other stations (Mimico, Long Branch, Weston, Kennedy) included in the near future, once daytime service on the Stouffville & Kitchener lines see improved frequencies. This would be a good temporary stopgap while Metrolinx addresses the issue of short distance GO trips. And personally, as a resident of Mississauga I would love to see better harmonization of fares as soon as possible. Right now it costs me almost as much to take MiWay+TTC (at full fares) from my home to downtown Toronto than it does for me to take MiWay (with Co-Fare) and GO. The irony is that both trips take around the same travel time and waiting time. My current afternoon peak “trick” is to take the Milton Line train from Union to Kipling then walk to catch a MiWay bus using the Co-Fare. It takes a little more time but costs less than taking GO to Cooksville or Erindale. I’ll be much more likely to do this when MiWay moves to Kipling Station. I asked Greg Percy about the 16 locomotives outstanding on the MPI order. He said that the first is under production but is being delayed by a part back order. It will feature a high rpm Cummins diesel and have AC traction motors. This is probably the QSK95 engine which is going into the new Siemens Charger locomotives. They are capable of 4400 hp. It is interesting that it has taken so long to implement UPass functionality in PRESTO. All of the post-secondary schools in Ottawa have switched to contactless cards as OCTranspo prepares to phase in its new faregates. 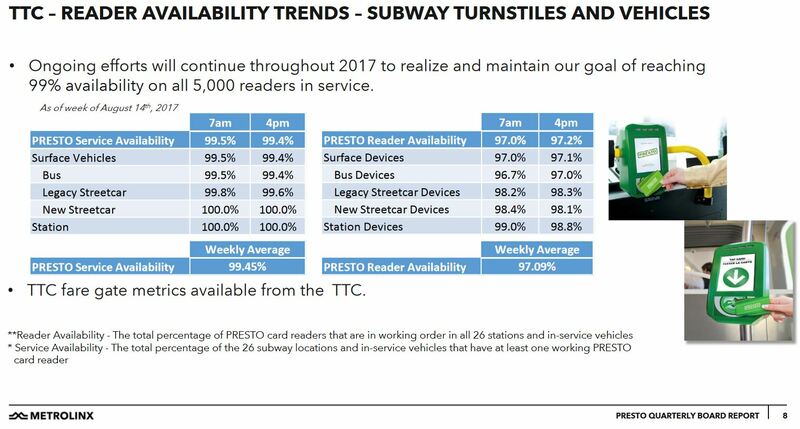 The cards work on the existing Presto readers, however they have been implemented using STO’s Multi Farecard. It seems Ottawa is staying as far from Presto as possible. I’ve been rather busy lately, but just wanted to share this: A page for public comment on the 2041 RTP.